KS Engineers, P.C. (KSE) was responsible for providing surveying and engineering services for a variety of streetscape improvements, including traffic calming, pedestrian lighting, and improvements to surface features, sidewalks, curbs, striping, landscaping, etc. KSE prepared a conceptual design for each of the above corridors within the limits indicated. 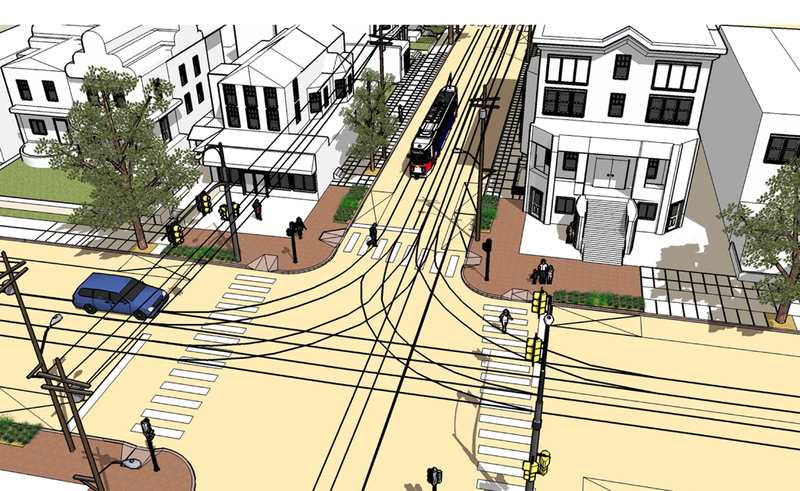 Final design, construction documents, and construction administration were provided for portions of each corridor based upon the approval of the Philadelphia City Council. Each corridor was the subject of an intensive community outreach program.